Have a night out on the town with this Bachelorette party pack . Masks are made of a strong durable plastic. Bulk party pack comes with 24 masks. 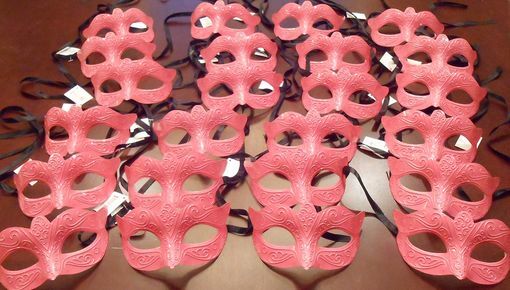 Masks come with black ribbon ties.